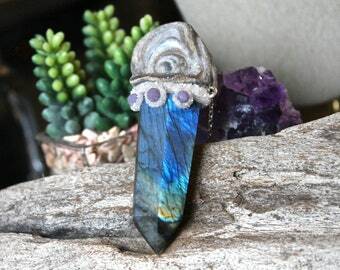 This large amethyst crystal wand has been attached to a crushed pyrite bail with a carved quartz skull securely resting on top and an incredible rutilated quartz stone set on the front. 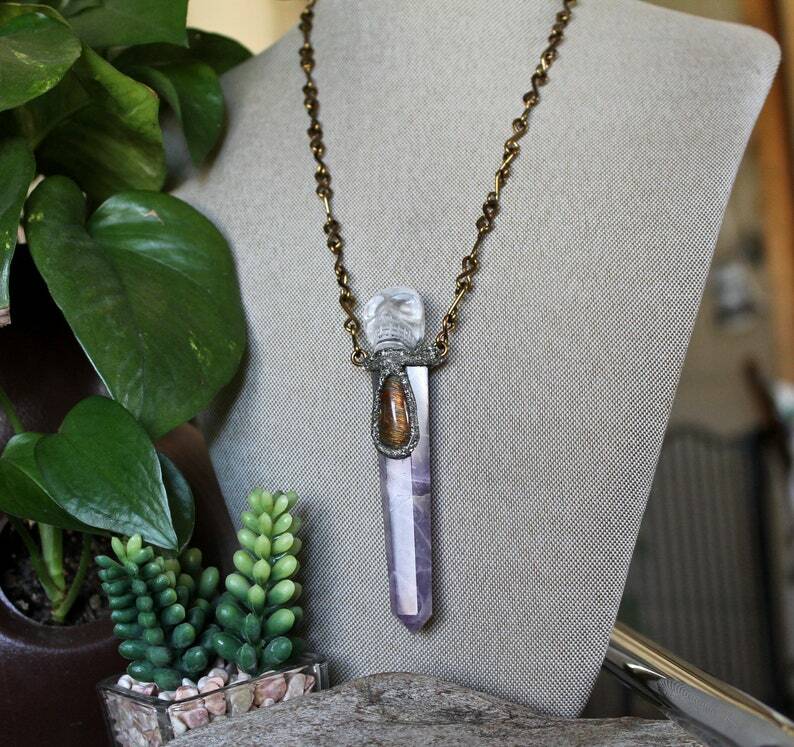 The crystal comes on one of our *signature* handmade bronze chains and the total length of the skull & amethyst necklace is around 19 inches. 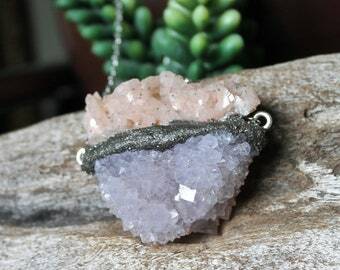 If you would like a custom chain length please contact us! 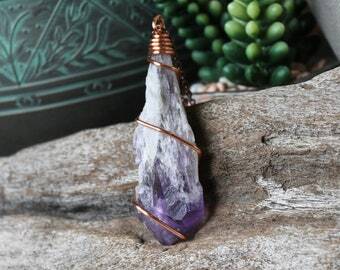 *Amethyst crystal wand measures 3.25" long x 3/4" across; total length from the top of the cared quartz skull to the bottom of the amethyst point is right around 4 inches. 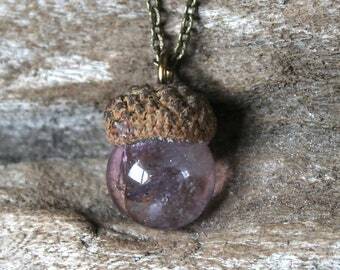 Please take a look at all 10 photos to get a better idea of the true size and beauty of this amethyst necklace! 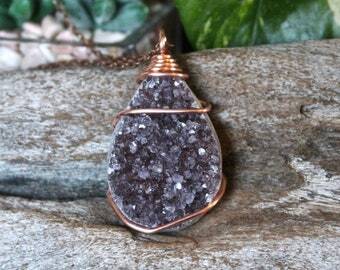 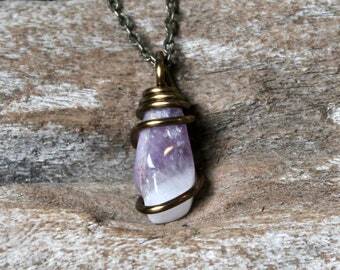 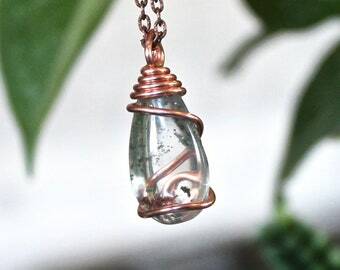 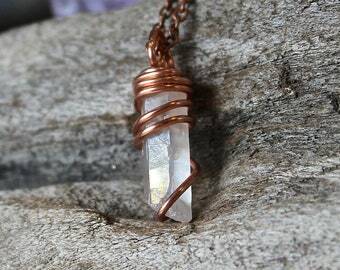 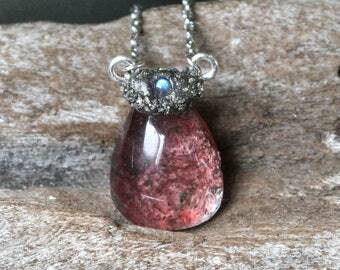 You will receive your amethyst crystal necklace in a lace gift bag, wrapped and ready for gift giving! 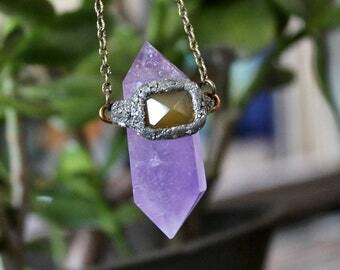 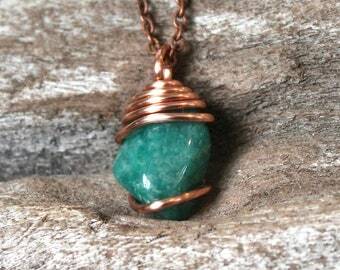 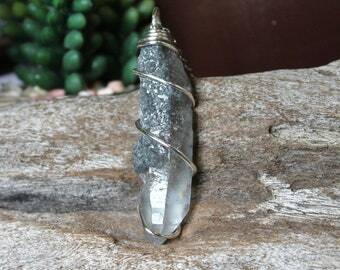 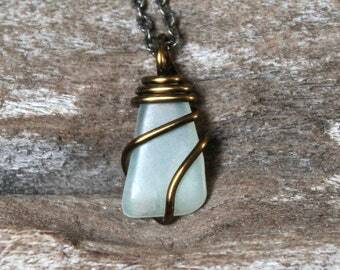 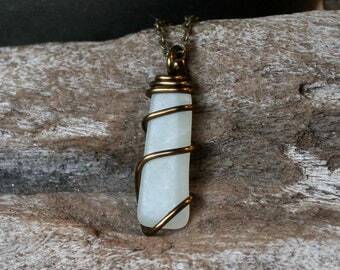 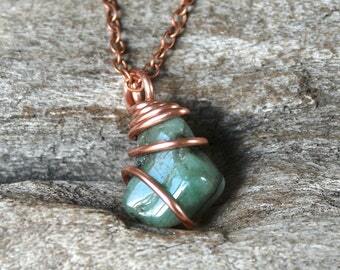 Your hippie jewelry should arrive to you within 5-7 business days (going to the US mainland).